As a family-owned and managed business, Snell Motor Companies values our team members like part of the family. We are proud to have many employees who have been with Snell Motor Companies their entire careers and worked alongside us to grow our business in Texas over the past 40 years. Our Land Rover centre started with one Range Rover inside Snell Buick and today Snell Motor Companies is one of the largest volume of Land Rover sales in North America. 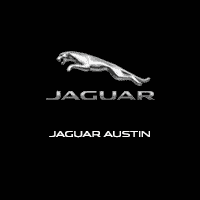 Centres include: Jaguar Austin, Land Rover Austin, Land Rover Dallas, Jaguar Dallas, Land Rover Frisco, and Jaguar Frisco. Factory and retailer authorized program that provides hands-on training in all areas of the service department, including parts and maintenance. Candidate will receive Jaguar Land Rover compliant technician skills with the opportunity to advance within the service department.